With the popularity of loose leaf brands like Teavana, it seems that tea is trending. I love curling up with a cup of hot tea and I have always liked Teavana, but if you want to try something new I highly recommend DAVIDsTEA in the South End of Boston. DAVIDsTEA is a loose leaf tea purveyor that offers unique flavors you can't find elsewhere. Flavors like Alpine Punch, salted caramel, and Choconut Oolong, which is reminiscent of the chocolate-hazlenut spread Nutella, sit in large individual silver tins that line the walls of the store. When I first visited the store I tried the Pumpkin Chai, which was seasonal, spicy, and sweet, but what really made me love the store was the holiday selection. I thought this would be a perfect time to visit DAVIDsTEA, as the holidays are quickly approaching. 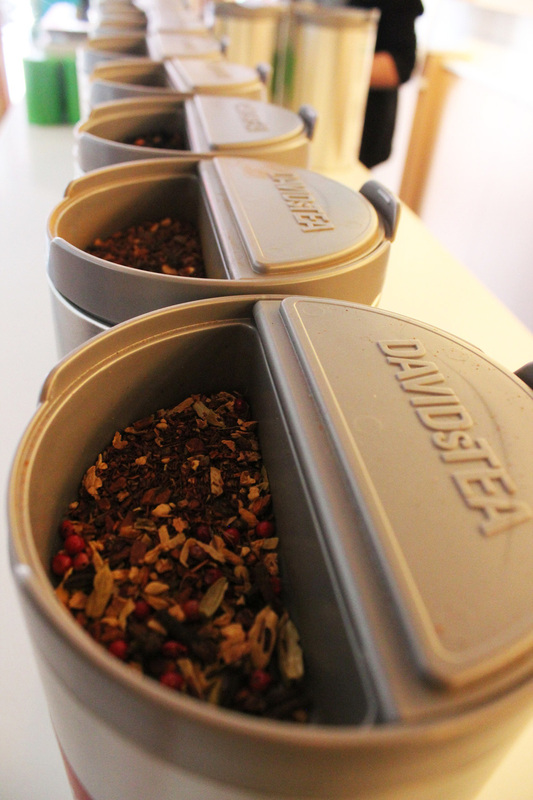 DAVIDsTEA offers an entire Winter selection of tea, which features blends like Gingerbread, which of course is like Christmas in a cup, Spiced Fig, and Sleigh Ride, which is blended with spices, apples, and cranberries. Most of these blends are organic and all are fresh, so they’re the perfect gift for high-end tea lovers. DAVIDsTEA also offers Holiday collections and personalized gift sets that feature of these wonderful tea blends, including white, green, oolong, black pu'erh, yerba maté, rooibos, and herbal varieties. But it's not just the tea blends that make the store shine, it's the mugs, tea sets, and other tea accessories, combined with the décor and warm attitude that contribute to the overall tea experience. 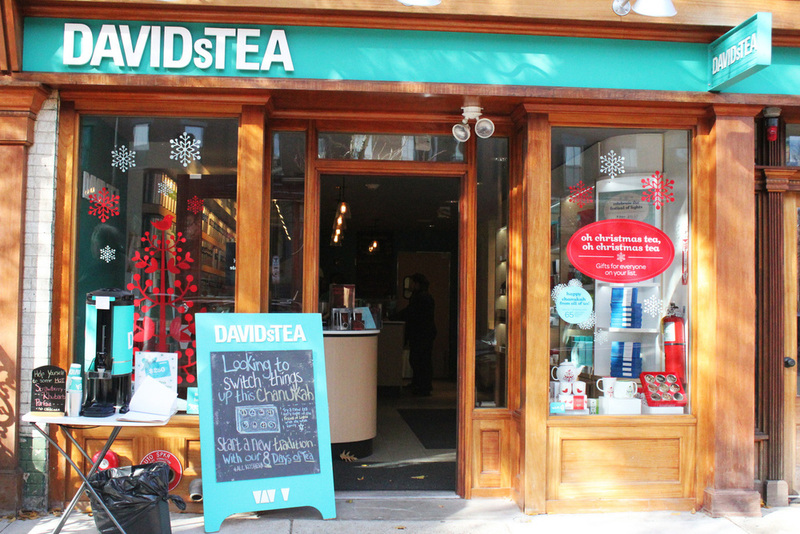 If you choose to venture over to the South End, DAVIDsTEA sometimes offers a promotion of a free cup of any variety for purchasing at least two ounces of tea. DAVIDsTEA will make lovely presents for the holidays, and just one taste of their special-teas will leave you in festive spirits!